When you had a relatively small team and a few projects, you could easily keep track of your progress. And you probably had a pretty good idea of how profitable a project would be. Now that you’ve grown your business, you’re simultaneously managing larger or potentially more complex projects. Staying on top of every detail is far more challenging than it used to be. The last thing you want is to lose potential profits as you’re trying to achieve your growth goals. But here’s the good news – you can optimize profits in three key areas of your projects. We all know that planning is crucial to a successful project. Your budgets include everything from resources and materials to other expenses, like travel. The more accurate your budget is right off the bat, the more opportunity there is to earn profit. You don’t want to be half-way through a project and realize your budget is almost gone because you didn’t allocate enough for labor. That’s not a pleasant conversation to have with your client and it can be difficult to recover those costs. The best way to set accurate budgets is to use historical data. Every project you complete is an opportunity to refine your budgeting for future projects. You’ll learn which tasks take longer to complete than you thought. You’ll also find certain areas of the budget that can be scaled back. If you have a good project management system that allows you to track your planned budget and actual costs, you’ll have all the data you need. So why not use it? One of the most common places that project-based companies lose profit is during execution. If your team is not capturing their time and expenses against the associated project, you’re missing an opportunity to generate revenue. Now, there could be several reasons for this. It could be a training issue, where your staff doesn’t understand the importance of accuracy. Or it could be a limitation of your systems. If it’s incredibly time consuming to even record the time spent on billable activities, your team isn’t likely to do it. A good project management system will allow your team to quickly and easily enter their time and expenses. Take it one step further and find a system that lets your team tag their entries directly to the applicable project activity. This will increase the accuracy of your data, allowing you to track progress more effectively and give you a better baseline for future project estimates. It also streamlines billing down the line, as the costs are already properly allocated. 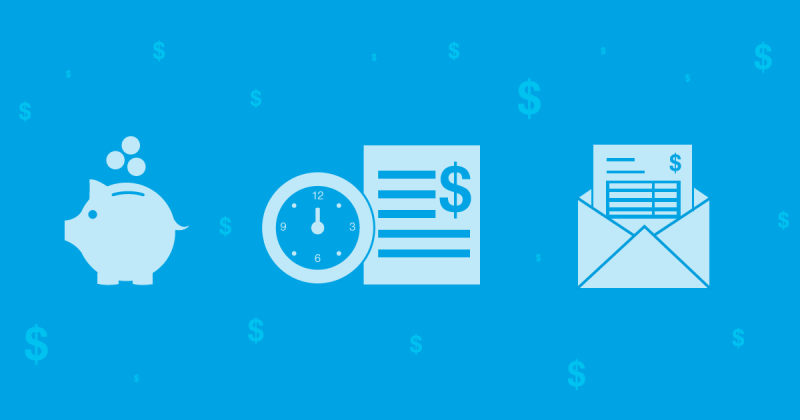 The more accurately you can track your billable time and expenses, the more accurately you can bill your clients. And with the right systems in place, reviewing and approving those costs is quick and easy, allowing you to speed up your time to invoice. You’ll see the result right in your cash flow – the faster you can bill your clients, the faster you get paid. These three areas are where you’ll see the bulk of the return. But it doesn’t end there. With the right systems in place, you can see significant efficiency gains in your administrative processes. With a project-based ERP (Enterprise Resource Planning) system, like Eralis Project, based on SAP Business One, you can eliminate duplicate entry of employee time. This means you won’t have to transfer or re-enter the same data into different systems for project tracking, billing and payroll purposes. Your team will spend less time in status meetings and more time working, increasing your capacity to take on the next project in the queue. As you can see, the right system is central to delivering more profitable projects. Don’t let disjointed systems hold you back from maximizing your returns. Set your business up for unprecedented growth and stay competitive with our 7 growth hacks. Get your copy of the Growth Hacks guide.